Introverts Explained: Life Of An Introvert Illustrated In 16 Awkward Comics! Introverts are known to be very people-shy, they love to do things without announcing it to the world. Introverts are known to be very people-shy, they love to do things without announcing it to the world. Introverts are known to attend to their feelings and thoughts and are easily overstimulated. These people are extremely creative and busy in their own pool of ideas and are deep thinkers. They are selectively social, and tend to enjoy their own company. If you wonder where is the fun in such a life, then we bring you 11 funny and awkward comics by illustrator Maureen “Marzi” Wilson. 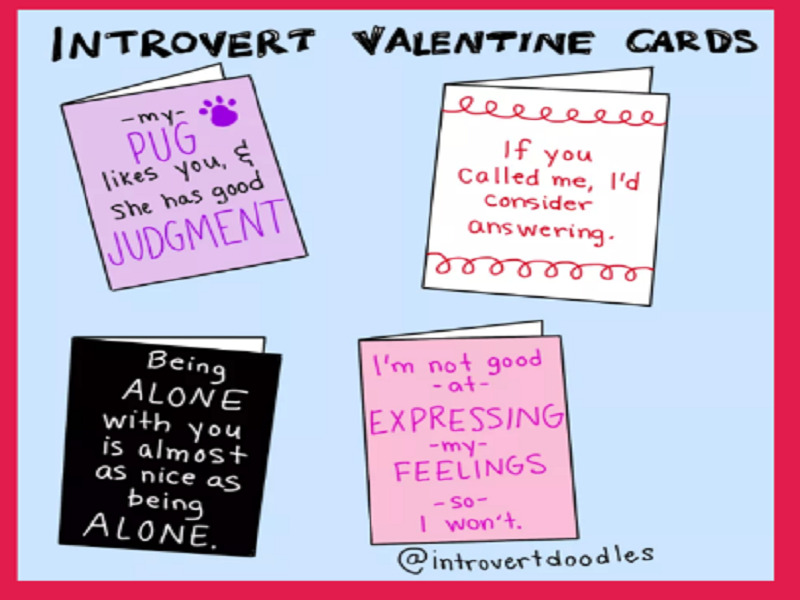 Maureen is responsible for the comic series Introvert Doodles. When asked in an interview about the doodles she told, “I’ve been in all these situations. Occasionally on the prowl and sometimes in a relationship, often happy about being single, the woman tells us a true introvert reflection." While the character “Marzi” in her doodles is always alone it captures the peculiarities of dating of an introvert and what is truly happening in their minds!